I first discovered blogs when I was trying to get some help with a decorating project in my home. Finding one blog with gorgeous beach-style homes led me to another, and another, and so on…. To this day I still visit those same blogs because they continue to inspire me in what I want to do in my own home. 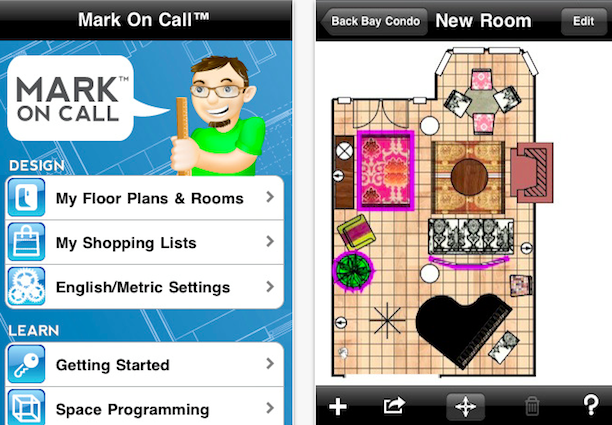 I know many of you are also decorating and renovating homes, so I thought I’d give you a little techie help in that department, with some very handy apps…. This app allows you to map out your rooms with accurate dimensions, add furniture, flooring, and try out different paint colours and fabrics by taking photos of finishes you like and adding them as a ‘skin’ to the appropriate item. One of the best features of this app is being able to drag your furniture around the room to see how it looks, and whether it fits, before you do it in real life! You’ve just found the most gorgeous lounge, but you don’t know if it will fit through your door, or you’re not sure if the fridge will fit in your kitchen? This app allows you to take a photo of a room or an object and write measurements on the photo. 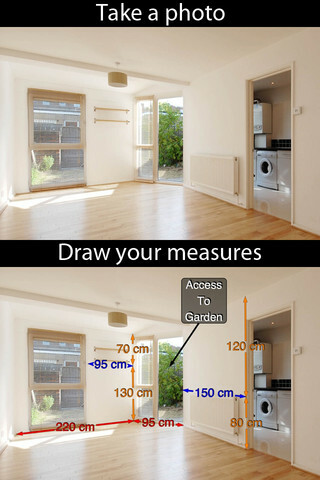 So you’ll always have the measurements you need with you. Don’t have a spirit level? 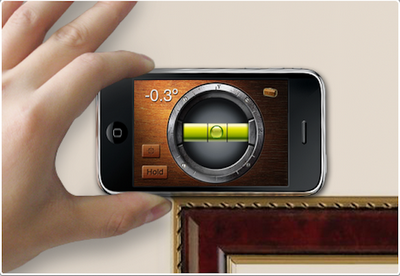 Whether you’re hanging pictures, or checking if your door frame is square, grab your phone. You can use it as a level in landscape, portrait or face-up. Do you always forget when to change the air conditioning filters, or when your pest inspection is due? 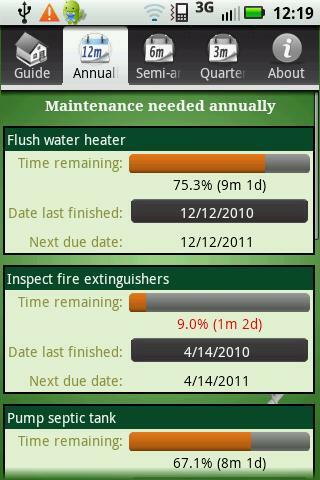 This app allows you to set reminders for these tasks and also gives suggestions for when certain regular maintenance tasks should be done. You can email yourself a complete record of maintenance and add pictures to keep a record of your home and repairs. 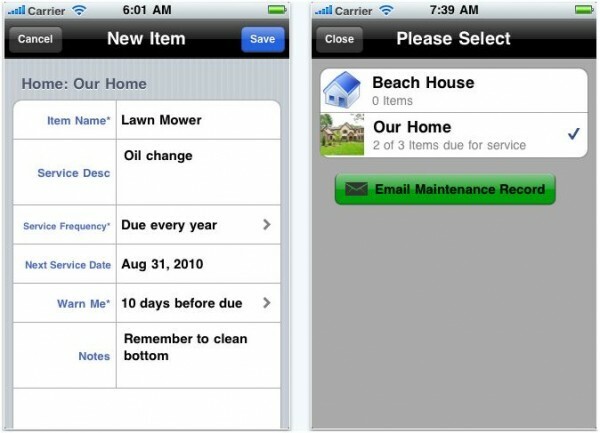 For Android devices try House Maintenance Schedule, a calendar based app where you log routine maintenance tasks and set a reminder date. You can view a month-by-month guide to what needs to be done, half-yearly, and annual tasks. If you find a colour you absolutely love, simply snap a picture of it and Dulux’s free ‘MyColour’ app will match it to their closest paint colour. 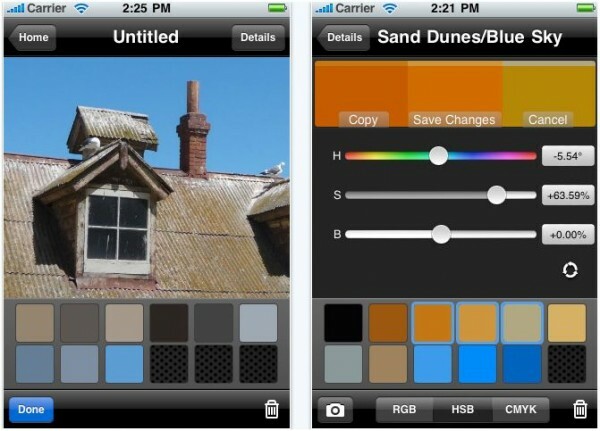 A great app for choosing colour schemes. Palettes allows you to pick colours from pictures in magazines, websites, and in photos and see what colours contrast or match. 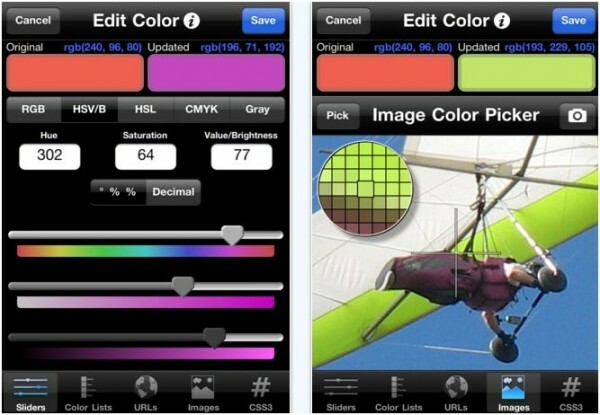 Take photos of your rooms with your iPhone and this app will convert the colours into RGB, HSB and CMYK. You can then see how your colours will pair with other colours. 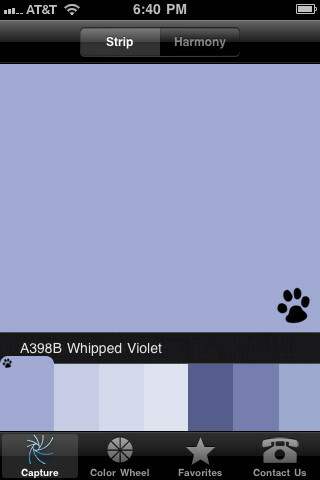 Another app that allows you to test paint colours on your phone before you actually paint the walls. 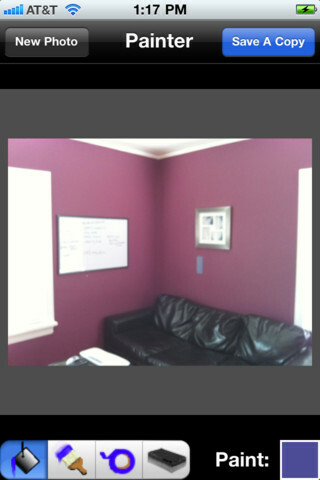 Upload a photo of a well lit room, then use the paint bucket tool to paint the walls in your chosen colour. You can even take a photo of a colour you like and use that the ‘paint’ the photo of your room. 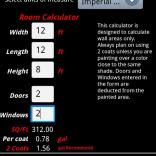 Enter the width, length and wall height of your room, add the number of windows and doors and the calculator will tell you how much paint you need (litre or gallons). You can create a separate calculation for each room and save it, so you can then add different rooms together to get the total amount of paint you need, that is, if you’re painting them the same colour. This app will calculate the amount of materials needed for particular jobs, based on your input of the dimensions of the job. You can use it to calculate how many border tiles you need, how many rolls of wallpaper, how much carpet, even how much mulch! 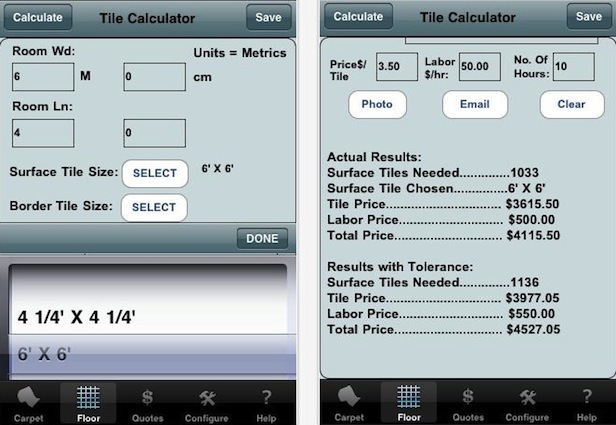 You can add the cost per metre (or feet/yards) and the app calculates the total for you. Projects can be saved and the calculations can be emailed to you. I.D. 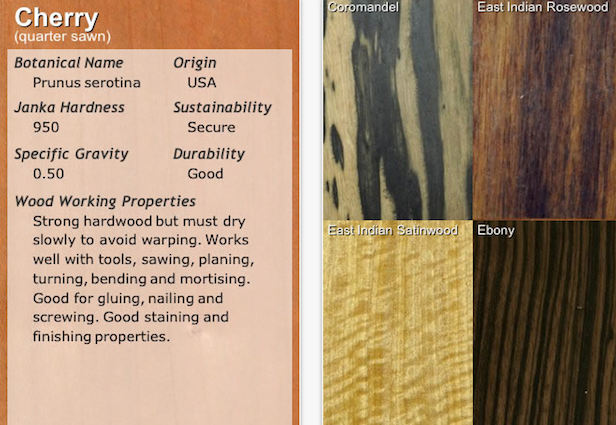 Wood is your pocket guide to over 160 different kinds of wood from all around the world, their durability, common uses, nail size details, and sustainability. All the iOs apps are available from the iTunes store; all Android apps from Google Play. I am grateful to you for this great content.I am reading your article and its very nice, useful & helpful for those guys who wanna know about the same. 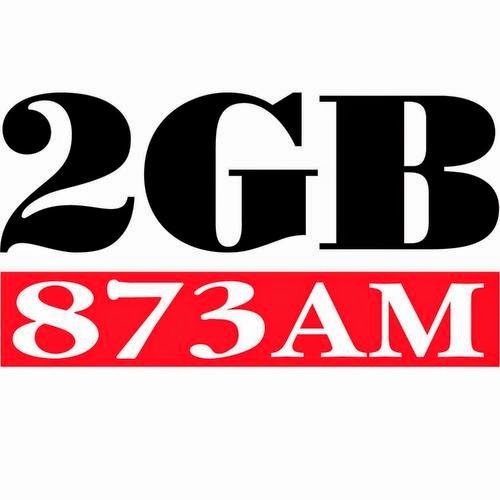 Thanks for sharing information about carpet cleaning northern beaches. I'm glad you've found my article helpful Dany, thank you. Your blog was absolutely fantastic! Great deal of great information and this can be useful some or maybe the other way. Keep updating your blog,anticipating to get more detailed contents.